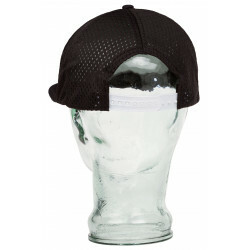 A cap belongs to your head like a banana to its peel but it is way too hot for a usual cap? 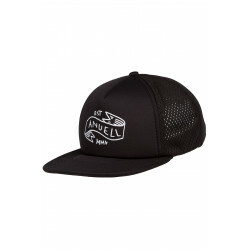 The Anuell Henram Trucker Cap will be your knight in shining armor. This trucker cap is equipped with soft mesh panels and the front will stand a short shower because of the neoprene fabric of the front panel and the flat brim. The adjustable snapback is handy and a great, visual highlight as well as the Anuell print on the front.